Let us take a look at ancient civilizations and their texts mentioning gods, creation stories and the origins of mankind. In nearly all ancient cultures we will find how ancient people, thousands of years ago, mentioned mighty beings that descended from the’heavens’ and came down to Earth, leaving their mark on humanity. Whether we look at Asia, Africa, America or Europe, nearly all ancient cultures mention these fascinating visitors who came down to Earth and helped mankind in one way or another. Today there is a worldwide debate going on about Aliens, and many people claim that the Gods mentioned by ancient cultures thousands of years ago are nothing more than flesh and blood aliens who came down to Earth. In the last couple of decades, millions of people have been convinced that we have been visited in the past by alien beings. Now, there are two types of people, those who firmly agree and believe in aliens and those who oppose the idea that aliens exist, and that we have been visited by other intelligent species from elsewhere in the universe. Even though many ancient texts mention what could be interpreted as alien beings, what is the truth? Did ancient cultures create elaborate mythological stories? Or is it possible that there is some truth in their written records and that mighty beings did ni fact descended from the heavens thousands of years ago? Is it possible that even before written history, our planet has been visited by intelligent alien civilizations from elsewhere in the cosmos? Les take a step back from this article and take a look what Professor Stephen Hawking said in an interview not long ago. Professor Hawking states that there are around 100 billion galaxies in the universe, and each one contains MILLIONS of stars. Taking this into account, it is VERY unlikely that Earth is the only place in the VAST universe where life has evolved. If you thnk about the above statement from Professor Hawking, it’s nearly impossible that life as we know it only evolved on Earth. These statements give ground for many people to believe that what ancient cultures described as Gods coming down from heaven were in fact misinterpreted visitations of alien beings who interfered, in one way or another, with early life on Earth. In modern ‘Ufology’ Grey Aliens have become an extremely popular ‘alien species’ that has interfered with life on Earth, especially in recent times. The Grey Aliens are believed to be extraterrestrial beings with freakishly large heads and same bodies. They have almond-shaped eyes and are most commonly associated with abductions. They are said to come from the Constellation of Orion and the Star System Zeta Reticuli. According to many, their population is small, and they have a great number of clones walking among them. These beings are said to behave like robots and lack souls. According to reports, sometime’s during the 1950’s the government of the US made a secret pact with the Grey Aliens. We received extremely advanced alien technology for study, while they got the green light to abduct people and perform human experiments. The Ancient Anunnaki are perhaps among the most famous alien species to ever visit Earth. They are considered by many the creators of modern man when they genetically engineered early humans in order to create a race of slave son Earth. 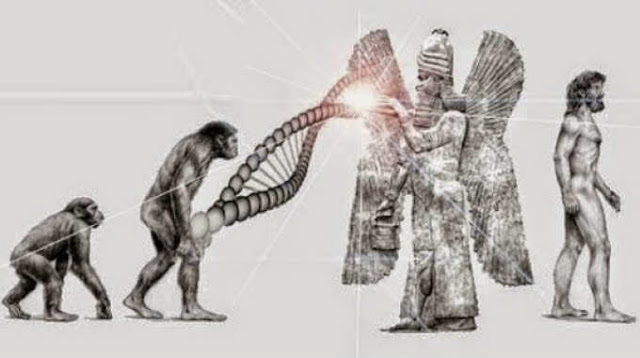 It is believed that the Anunnaki mixed their DNA with that of Early man creating modern humans hundreds of thousands of years ago. These beings arrived from a planet called Nibiru which allegedly approaches our solar system every 3600 years. Given the technological differences and knowledge between the Anunnaki and early humans, it is believed that ancient man regarded the Anunnaki as gods.